For sale is a used C6 Corvette Z06 Performance Rear Differential. This is an OEM GM Getrag Diff and was fully tested prior to removal. It's in excellent condition with no grinding, binding, or whining during accel or decel. 30k mile take out. Pulled from a 2010 Chevrolet Corvette C6 w/30K. Rear Differential. 2.56 Gears. Taken out of an automatic convertible car.Take out in good working condition. One of the mounts is cracked off as seen in pics. Description This is a Genuine GM rear differential side cover output shaft seal for your: 1997-2004 Chevrolet C5 Corvette. 2005-2013 Chevrolet C6 Corvette. 2004-2009 Cadillac XLR. Application 1997 1998 1999 2000 2001 2002 2003 2004 Chevrolet C5 Corvette. 2005 2006 2007 2008 2009 2010 2011 2012 2013 Chevrolet C6 Corvette. 2004 2005 2006 2007 2008 2009 Cadillac XLR. YUKON GEAR & AXLE RING AND PINION GEAR SETS. "Yukon Gear & Axle Ring and Pinion --. Regain lost power from oversized tires by installing a higher ratio ring and pinion. Available in popular gear ratios. [[Stock #]] M2159-BSHOP GM WILL BOLT UP TO MANAUL TRANSMISSION ONLY ALL USED PARTS WILL HAVE NORMAL WEAR AND TEAR. 06-13 Corvette C6 Rear End Getrag Differential 2.73 Gear Ratio Aa6413 [[Stock #]] M3750-ASHOP GM ALL USED PARTS WILL HAVE NORMAL WEAR AND TEAR. "Yukon Gear & Axle Differential Installation Kit --YUKON GEAR & AXLE - DIFFERENTIAL INSTALLATION KITS. Quantity sold : Kit. Notes With Load Bolt, Pin, Car Brngs, PinSeal, CrshSlv, PinDpthShms, CarShms, MrkgCmpd, PinNut, O-Rng, Slngr, Gskt, RngGrBlts, Isuzu Trooper, Location : Rear. 06-13 Corvette C6 Rear End Getrag Differential 2.56 Gear Ratio Aa6408 [[Stock #]] M2890-ASHOP GM ALL USED PARTS WILL HAVE NORMAL WEAR AND TEAR. 97-13 Corvette C5 C6 Ring & Pinion Gear Gears 3.15 M3516 [[Stock #]] M3516-BZ3 GM ALL USED PARTS WILL HAVE NORMAL WEAR AND TEAR. 3.90 RATIO RING & PINION. Whether you are a novice or a pro, you will need a good and easy to use bearing puller for the job, and we got them! 06-13 Corvette C6 GETRAG Rear End Differential 2.56 ratio Auto Aa6414 [[Stock #]] M3832-ASHOP GM ALL USED PARTS WILL HAVE NORMAL WEAR AND TEAR. Manufacturer: Wavetrac| Manufacturers Part Number (MPN): 57.309.120WK. Wavetrac Differentials are designed from a clean sheet using state-of-the-art knowledge and engineering to be a better differential than any other. 4.10 RATIO RING & PINION. Whether you are a novice or a pro, you will need a good and easy to use bearing puller for the job, and we got them! Your Source for Genuine OEM GM Parts & Accessories!! Fits: 2006-2013 C6 Corvette Z06. 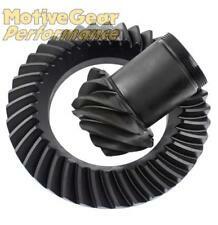 Motive Gear Performance 3.90:1 Ratio Ring & Pinion. MOTIVE PERFORMANCE - 3.73 RATIO RING AND PINION & MASTER BEARING INSTALLATION KIT WITH TIMKEN BEARINGS. Whether you are a novice or a pro, you will need a good and easy to use bearing puller for the job, and we got them! 3.73 RATIO RING & PINION. Whether you are a novice or a pro, you will need a good and easy to use bearing puller for the job, and we got them! 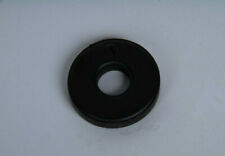 Description This is a Genuine GM rear differential side cover seal for your: 1997-2004 Chevrolet C5 Corvette. 2005-2013 Chevrolet C6 Corvette. 2004-2009 Cadillac XLR. Note: Please read the following for applications on LH & RH sides. 2005-2013 Base, Z51 & GS Corvette - Seal is the same for LH & RH sides. 2006-2013 Z06 & ZR1 Corvette - Seal is for the LH side only. 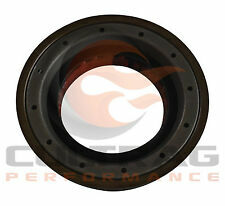 Application 1997 1998 1999 2000 2001 2002 2003 2004 Chevrolet C5 Corvette. 2005 2006 2007 2008 2009 2010 2011 2012 2013 Chevrolet C6 Corvette. 2004 2005 2006 2007 2008 2009 Cadillac XLR. MOTIVE PERFORMANCE - 3.73 RATIO RING & PINION. Whether you are a novice or a pro, you will need a good and easy to use bearing puller for the job, and we got them! 06-13 Corvette C6 Rear End Getrag Differential 2.56 Gear Ratio BASE Aa6426 BASE MODEL AUTOMATIC ONLY [[Stock #]] M7541-ASHOP GM ALL USED PARTS WILL HAVE NORMAL WEAR AND TEAR. 2004-2009 Cadillac XLR. 1997-2013 Corvette. GM parts can be warrantied anywhere in the US with your receipt from us. Chevrolet Corvette 2010-2013 Grand Sport, AT, (2.73 ratio opt GU2), w/o axle cooling sys. Chevrolet Corvette 2009-2013 base, AT, 2.73 ratio (opt GU2), w/o axle cooling sys. Vehicle Model: Corvette. Part # or Vehicle Model: Corvette. 4.11 (4.10) RATIO RING & PINION - THICK GEARSET. Whether you are a novice or a pro, you will need a good and easy to use bearing puller for the job, and we got them! Your Source for Genuine OEM GM Parts & Accessories!!!! LKQ SKU: LKQ100 ~213859175 CRR00190B. Includes housing and all internal components. This is NOT a manufacturer part number, and can be disregarded. We do our best to prevent these issues from happening and apologize for any inconvenience it may cause. Car years: 2005, 2006, 2007, 2008, 2009, 2010, 2011, 2012, 2013, 2014, 2015, 2016, 2017, 2018, 2019. Lowering Bolts. Corvette Central #: 586029. About Corvette Central. MASTER INSTALL KIT - Contains all necessary components to install a ring and pinion and/or differential case: bearings, races, seals, and adjusting hardware - GM LATE CORVETTE. Whether you are a novice or a pro, you will need a good and easy to use bearing puller for the job, and we got them! Part Number: 12458080. About the Part. It remains the leading helical gear-type limited slip differential in the industry. No maintenance - Just Traction. Eaton limited slip differentials like the Posi and Detroit Locker dominate the performance market as the choice of professional racers in NASCAR, NHRA, IHRA, CORR, NMRA, NMCA and other racing associations. MOTIVE PERFORMANCE - 3.90 RATIO RING AND PINION & MASTER BEARING INSTALLATION KIT WITH TIMKEN BEARINGS. Whether you are a novice or a pro, you will need a good and easy to use bearing puller for the job, and we got them! Chevrolet Corvette 2009-2013 (driveline support), 6.2L, MT, base. Vehicle Model: Corvette. Part # or Vehicle Model: Corvette. Vehicle Make: Chevrolet. Vehicle Year: 2009. Ontario/New Brunswick/Newfoundland (13%) HST. Key Features: DSS Chevrolet Corvette 2009-2010 C6 6-Speed Manual (includes Z06) 3.5in Aluminum Driveshaft. AMCO AUTO PARTS, LLC. Back to top. WARNING: This product contains chemicals known to the State of California to cause cancer and birth defects or other reproductive harm.